If there is one thing that is certain about Brexit it's that there is nothing certain about Brexit. Whether we leave on 12th April, 22nd May, some point next year, with or without a deal, in or out of a customs union, or just end up not leaving at all, whatever happens it will have an effect on business and importantly the people within them. Regardless of the way you voted back in 2016, how you feel now or what you want to happen, something (or nothing) will happen and the current uncertainty is leaving many business confused and frozen as to how best to operate with the CBI and TUC issuing a joint letter to Theresa May pleading for clarity and strategy in the current chaos of Brexit negotiations and parliament. Make no mistake, the uncertainty of Brexit will be worrying your employees no matter what industry you operate in, and managing your people through this difficult time will be key to getting through it and prospering on the other side regardless of what happens. As a leader you need to make sure you are keeping your eyes on the horizon and preparing and planning for all possibilities. The Hogan Development survey shows us that some leaders when under pressure will focus inward and avoid the bigger picture, micromanaging projects and people and worrying about day to day tasks to avoid having to confront the difficult bigger picture. Don't fall into this trap, with no clear indication of what could be coming down the line this could be catastrophic should you be blindsided by an outcome you hadn't considered or planned for. Trust in your employees to do their jobs and deliver your business and allow yourself time to plan, prepare and avoid pitfalls that may be lurking round the next parliament vote or amendment. With things so uncertain it's very important to ensure your organisation and its people are flexible and agile enough to deal with change. Staying rigid and structured and hoping your ship will miss the big Brexit iceberg floating across the channel could well leave you sunk. 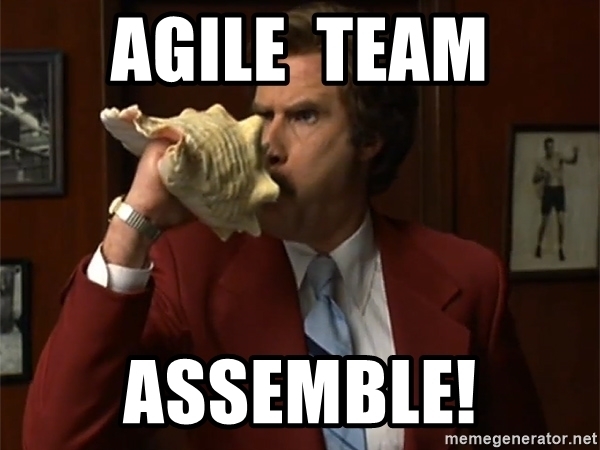 Read our previous blog post here on what being an agile leader means. Communication during uncertainty is vital. As I said above everyone is worried about Brexit and what it might mean for their jobs and their future. Staying silent and ignoring your employees concerns could make things much worse and lead to underperformance or worse people leaving because they assume that no news is very bad news. Communicate with your employees regularly, let them know that you are taking the current situation seriously and that you are doing everything you can to ensure that the company is prepared for whatever may come and that whatever happens you will be doing your best ensure everyone gets through it. Even if all you can say is that you are just as uncertain as they are stay visible and active to your employees so that know at least you are taking things in hand. Uncertainty can be difficult and stressful for leaders just as much as it is for everyone else and when under pressure it can be easy to lose sight of how others may be feeling. Remembering to be compassionate and kind to those around you is a key skill in a modern emotionally intelligent leader. Research has shown that the relationship between kindness and leadership is a key area for our well-being as individuals, for the success of our organisations, and for the future of our global community, and remembering to be kind will make sure that relationships within the organisation don't suffer under the strain. The Emotional Intelligence Questionnaire (EIQ) and EIQ 360, developed by Prof Victor Dulewicz and Prof Malcolm Higgs, helps assess and develop individuals' levels of emotional intelligence across 7 key domains. Fingers crossed we will all soon have some clarity on what will happen next and will be able to make concrete plans for the suture of organisations but in the meantime it's important to prepare and ensure that your organisation and its people have the mindset to tackle uncertainty successfully. Should you wish to discuss any of the above or how we can help your leaders or employees navigate the next few months (hopefully not years!) then get in touch with us at info@getfeedback.net or give us a call on 01491 845 536.